We're on a mission to inspire charitable habits in our generation and our credo is to #DOMOREGOOD. It's about more than big checks and corporate sponsorships, it's about thinking of others first. It's about holding the door for your neighbor, paying your barista a compliment, and standing up strangers. When we give back, we are better citizens, colleagues, parents and friends—and we inspire others to be too. 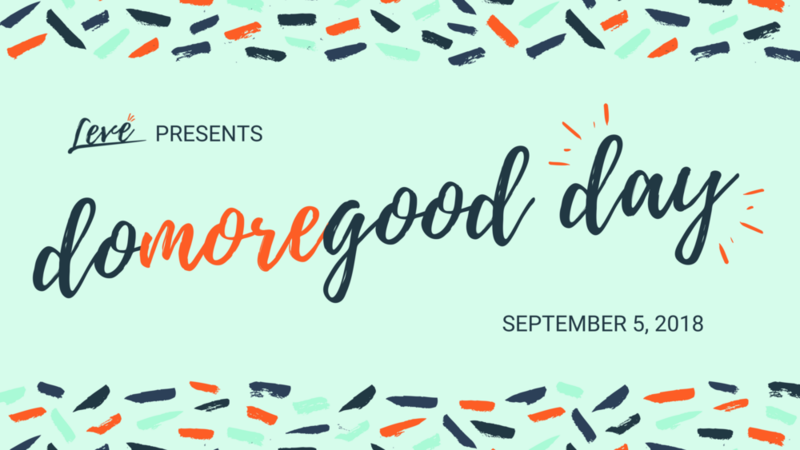 That's why on we're kicking off our first annual Do More Good Day on 9/5/18 and you're invited!